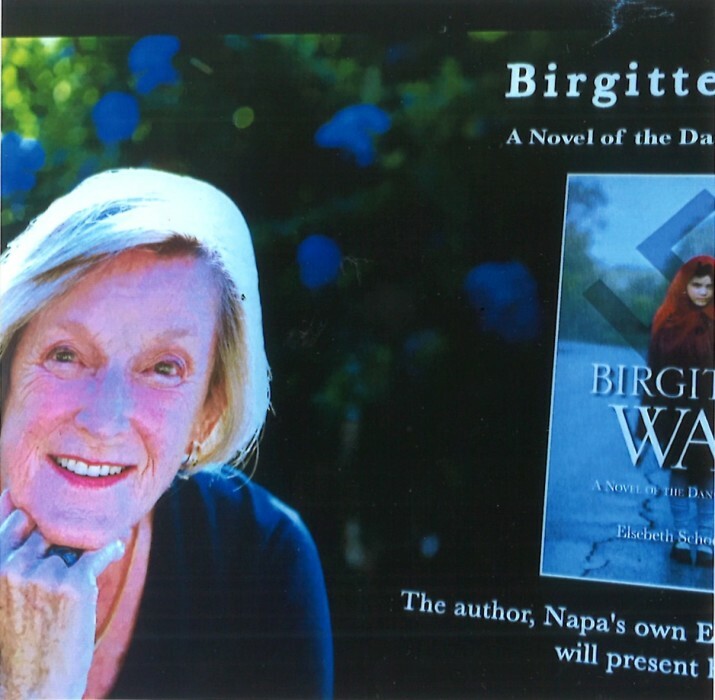 Elsebeth Nielsen Schoenberger, author of acclaimed novel, ‘Brigitte’s War’, A novel of the Danish Resistance, succumbed suddenly to lymphonic cancer August 16th. Her novel was based on her life as a teenager with guns and bombs fighting Nazis. The book was nominated for a prestigious European literary award and she and her husband, Louis Kaplan attended the ceremony in Denmark where she was awarded second prize in a field of fifty. With masters degrees in English and literature she taught on a college level, wrote and lectured at UCLA and other local schools. Later in life she conducted wine tours in Napa Valley. She is survived by her Husband Louis ,her sons Steven and Thomas and grandsons Max and Wolfgang. A service is scheduled for 11am Friday, August 24 at Tulocay Funeral Home , 411 coombsville road in Napa.